Kimi Raikkonen’s Formula 1 career has been one of the most colourful in the sport’s history. Here are eight reasons why the Iceman truly is the people’s champion. 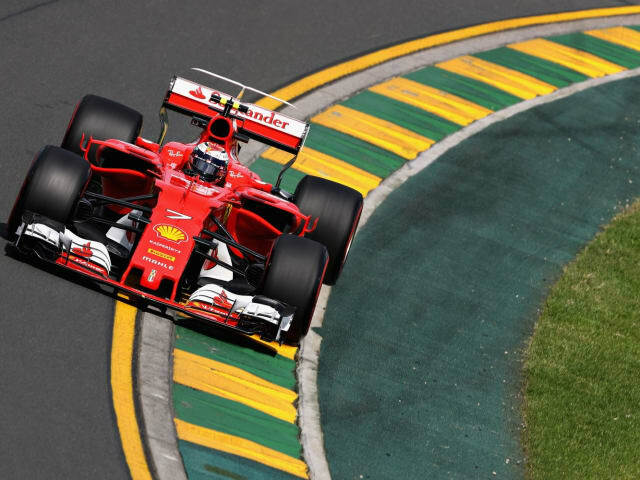 This may be a given for most F1 drivers, but Raikkonen is widely regarded as being one of the most naturally-talented racers to have graced the sport in recent times. Having made his debut with just 23 car races under his belt, Raikkonen made an immediate impression by scoring a point in his first race with Sauber. 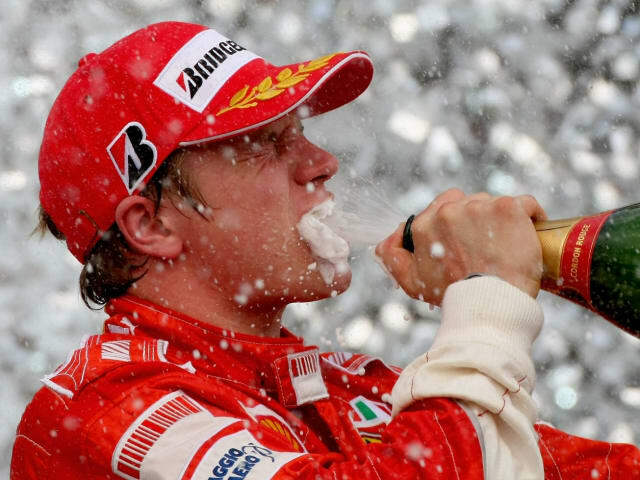 From there, he went on to become world champion with Ferrari in 2007 and was in the mix for the title in 2003 and 2005. He’s one of the quickest drivers around, still remaining a force at the front of the grid as he nears the end of his F1 career. When Raikkonen lost his Ferrari F1 seat at the end of 2009, the Finn didn’t dwell on the matter. Instead, he took a break from F1 and went away to try his hand at racing anything he could get his hands on. Raikkonen raced on-and-off in the WRC in 2010 and 2011, taking a best result of P5 in Turkey, and also made an appearance for Kyle Busch’s NASCAR team in 2011. Kimi’s desire to come back in F1 in 2012 proved he isn’t one to fall out of love with racing. It is what drives him - if only all F1 drivers were like that! Raikkonen is one of the most forthright figures to have raced in F1. His famous “Leave me alone, I know what I’m doing!” in Abu Dhabi in 2012 has gone down in history as a true cult line, while he explained to Martin Brundle on the grid in Brazil in 2006 that he missed football legend Pele’s presentation because he was “having a s**t”. He’s just as honest with journalists, rarely having time for their long-winded questions, favouring a response that typically starts with “bwoahhh” and a sigh. Yep, with Kimi, you’re never left wondering just what is on his mind. 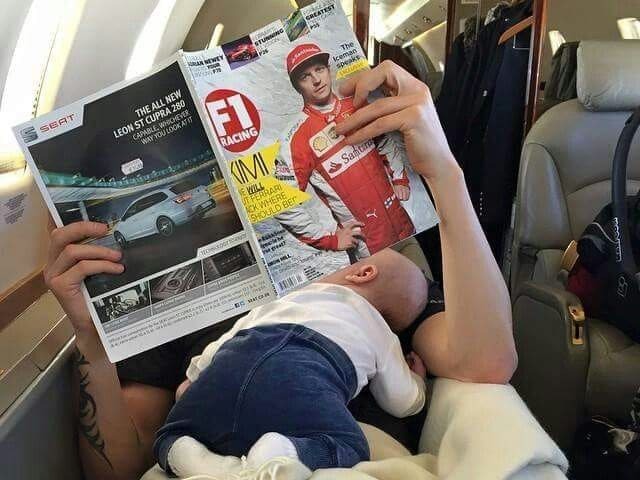 Robin Raikkonen has one of the coolest dads in the world - and the above picture says it all. What better way to complete daddy duties than while reading a magazine that you’re on the very cover of? 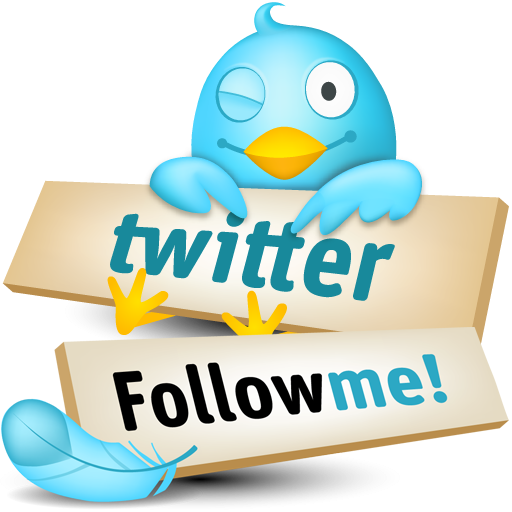 At some stage of his life, every man will get drunk and tell his friends: “I’m going to open a bar!” It’s a dream most have. But Kimi likes to make his dreams come true. According to reports in the Finnish media circulating earlier this year, Raikkonen is set to open up his own karaoke bar in Helsinki. BWOAAAAAH, WE’RE HALF WAY THEREEEEEE. Legend status acquired. Another classic Kimi moment came during the 2009 Malaysian Grand Prix. Heavy rain marred the race at Sepang, with Ferrari fluffing a tyre call that left Raikkonen well down the order. Conditions got so bad that the race had to be red flagged after 31 laps, with the field lining up on the grid to wait on a possible call to get going again. Not Kimi though. A KERS issue meant it was game over, so the Finn hopped out of his Ferrari, got into a t-shirt and a pair of shorts, and proceeded to munch on an ice cream in the team’s hospitality unit, much to the surprise of the drivers still on the grid hidden under their umbrellas. 2006 was a busy year for Kimi Raikkonen. 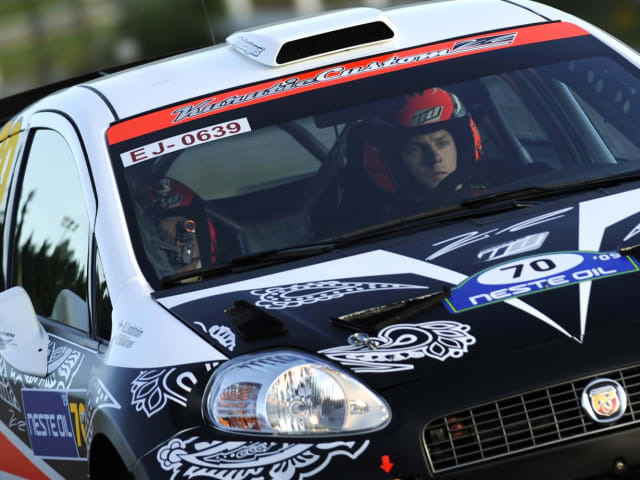 As well as firming up a race deal with Ferrari for 2007, he also took some time to enter a couple of one-off races. The first was a snowmobile event where he raced under the pseudonym “James Hunt” before then taking part in a powerboat race while dressed in a gorilla suit. Not only did Raikkonen’s crew win the race, but they also won the award for being ‘best dressed’. Pretty good going. Kimi’s off-season jaunts didn’t hurt his pace come 2007, though, as he won the opening race of the year en route to the drivers’ title. Who doesn’t love a cheeky nap from time to time? 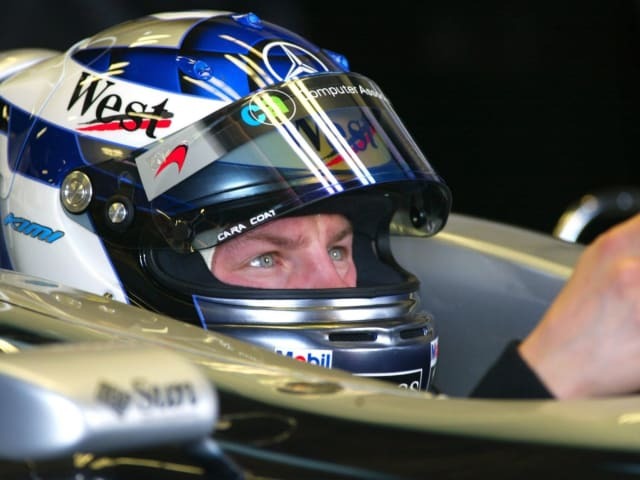 Raikkonen has made it a key part of his race preparation, with his surprised Sauber mechanics finding him catching forty winks under a table in the team’s motorhome less than an hour before his race debut back in 2001. 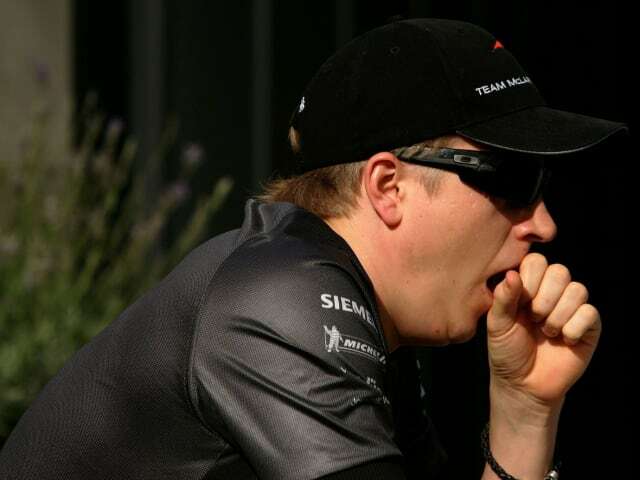 Raikkonen even took advantage of a reliability issue on his Lotus car in testing back in 2013 to go and snooze, and wastes little time getting through media duties if he knows he can have some shut-eye. All great heroes need to be as refreshed as possible. It’s no different for Kimi. Adoro estas reportagens leves. Kimi é uma figuraça mesmo. São muitas histórias do Iceman ao longo destas 15 temporadas dele na F1. 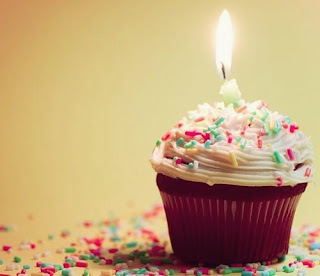 Qual a sua favorita? Eu confesso que a minha não está aí como principal, foi apenas mencionada, é a do GP de Abu Dhabi 2012. O famoso "Leave me alone, I know what I'm doing" é insuperável.